Pourquoi choisir VNC Connect ? Appelez-nous pendant les heures d'ouverture du Royaume-Uni si vous avez un abonnement Enterprise ou Professional. Marina Bay Sands® is Asia’s leading destination for business, leisure and entertainment, offering a luxury hotel, convention centre, premier shopping and dining, theatres and a world-class casino. With IT systems spread throughout its vast resort, the Marina Bay Sands IT team required a secure solution to enable them to access and support servers without having to travel around the complex. 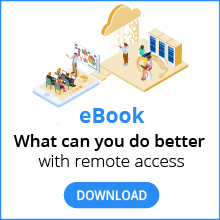 With the RealVNC remote access software deployed throughout the entire resort, problems and system maintenance can be performed remotely, maximizing staff productivity. Marina Bay Sands has three levels of gaming floor-space, hotel operations and a back of house business unit, containing a number of departments such as Finance and Human Resources, widely spread throughout its resort. A secure solution was required that would enable its small IT team to maintain and manage computers in these areas. Deploying support staff to locations all over the resort was proving a waste of already valuable resources and time. A solution that dramatically reduced desk-side support visits, while also keeping guest disruption to a minimum, was essential. Previously the small IT team at Marina Bay Sands would be required to travel around the expansive resort to fix any IT problems that arose. With the RealVNC remote access software deployed, its IT team can now support over 3000 users and manage the systems used in the business unit, hotel and casino remotely, fixing any problems directly from their desk. 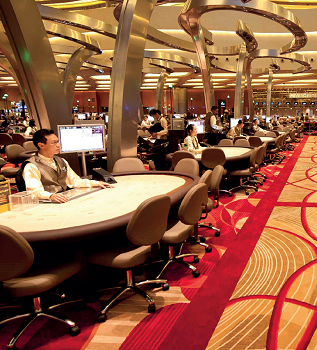 It was vital that any solution chosen by Marina Bay Sands was secure, particularly as IT Technicians would be connecting to systems located in their gaming environment. The RealVNC software with an offers integrated session security, with 256-bit AES encryption. The ability to connect to the kiosks in the casino, check if anyone is working on them and then blank the screen once connected is also a valuable feature, enhancing security while minimizing disruption to guests. The RealVNC remote access software was chosen for its robust security, ease of use and extensive range of features. VNC is proving to be an invaluable tool which is helping to ensure staff time and resources are now used more effectively, in turn benefiting guests. Pour les commentaires, les ventes ou les demandes d'ordre général, remplissez notre formulaire, ou contactez-nous par téléphone ou par chat pendant les heures d'ouverture au Royaume-Uni. Inscrivez-vous à notre newsletter ou suivez-nous sur les réseaux sociaux. Copyright © 2002- RealVNC Limited. Tous droits réservés. RealVNC®, VNC® et RFB® sont des marques commerciales de RealVNC Ltd.